I'm looking to put some subs into the trunk area but at the same time don't want to lose all of the trunk space. 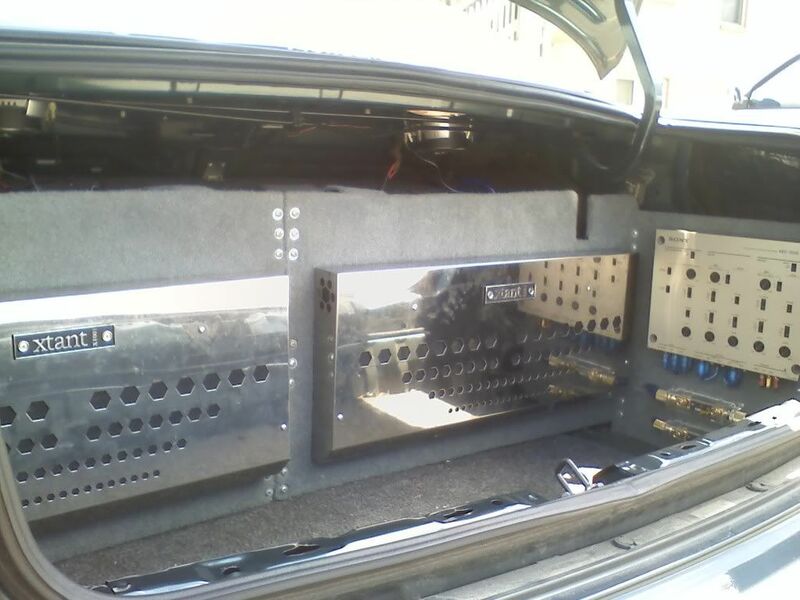 Does anyone here have like a custom enclosure in their trunk? I want to see and get some ideas. custom as in fiberglass or custom enclosure built to subwoofer specs? I'll be building one soon... or two, rather. 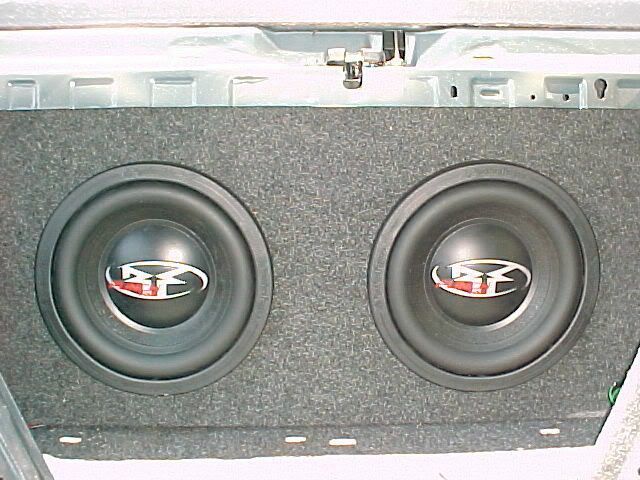 I just got done putting a 4th order bandpass into the trunk of my 03 coupe, and vented through the rear deck. 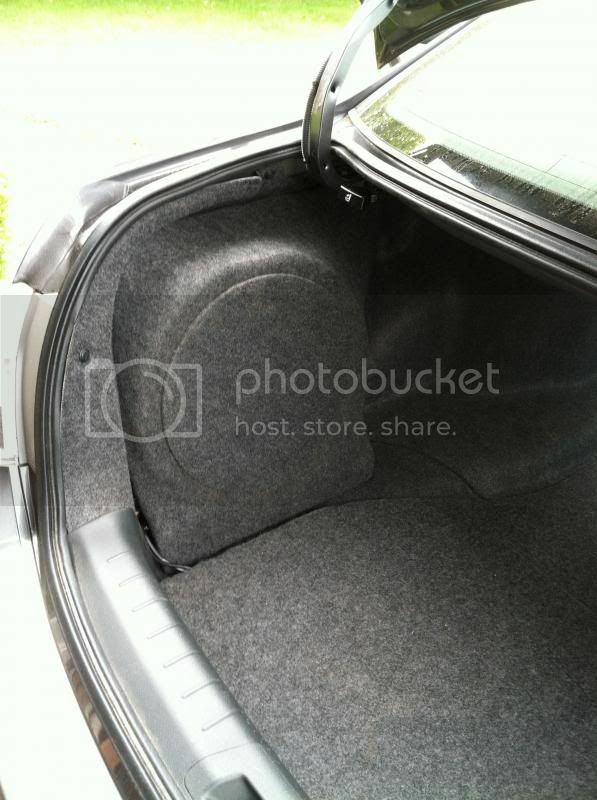 It's a nasty set up but be prepared to give up your trunk space! I put in Memphis PR speakers all around and a 4 channel amp under my seat. It negated my need for a subwoofer. While not rattle your teeth out deep, it does decent and didn't require me to give any trunk space up. I have a Infinity Basslink that I had from my previous vehicle. It does pretty good. 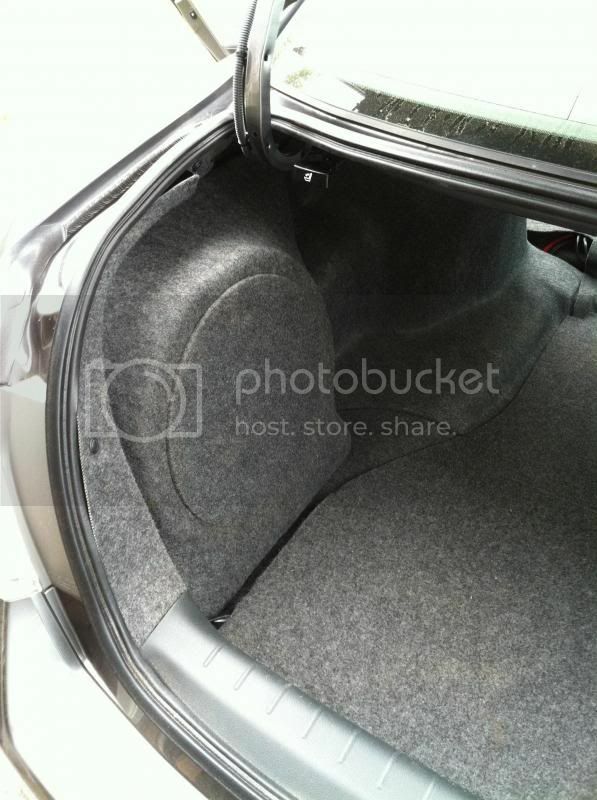 Eventually I will upgrade to a 10" Alpine Type S.
If you dont mind loosing your spare...here is my trunk setup. This is my 97. Forget what brand of box, but can find if anyone needs. Fits perfectly against back seat firing forward. Amp rack was built to fit contours of trunk and attach to back of box. LOL. It's a car, not a recording studio. Would be cool for people with custom enclosures to post how their trunks look! My FG enclosure ,may not be perfect but made it with my own 2 hands with plenty of tutorials all over the net available.It houses a 12'' IDQ with around .65cft. of air space with about 1/2lb. of stuffing.